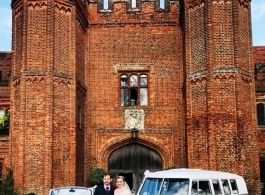 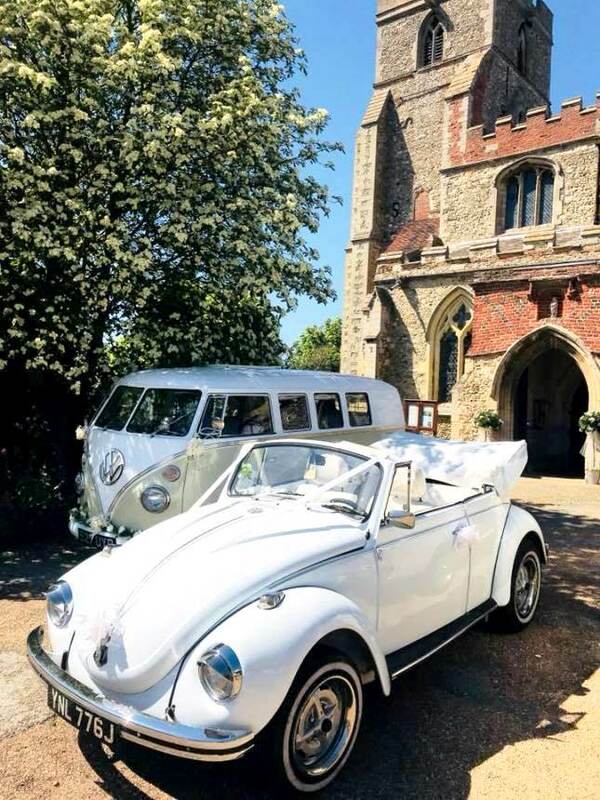 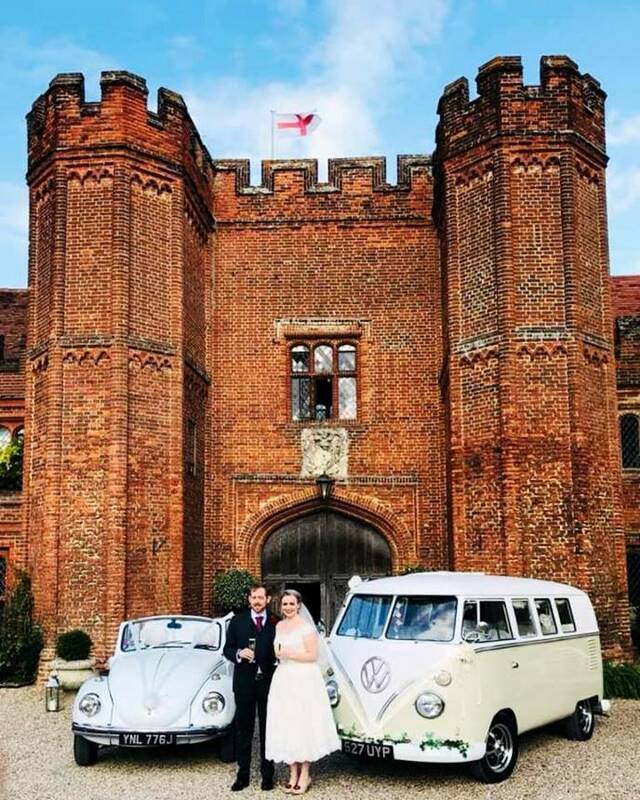 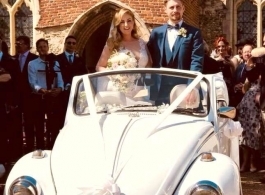 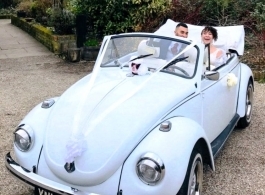 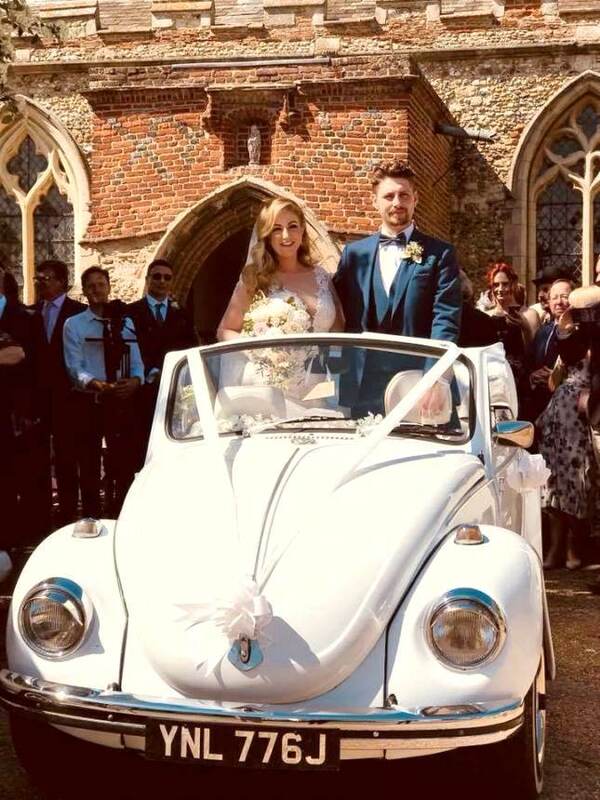 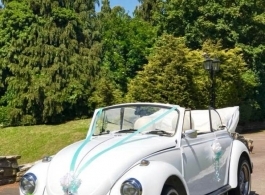 Convertible VW Beetle for wedding hire throughout Essex and parts of Hertfordshire. 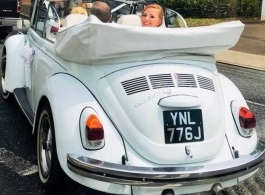 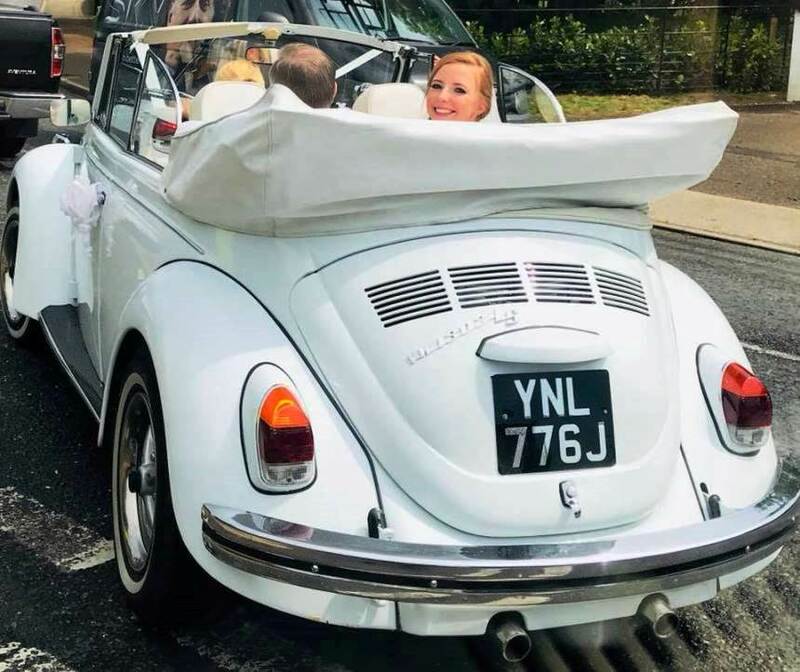 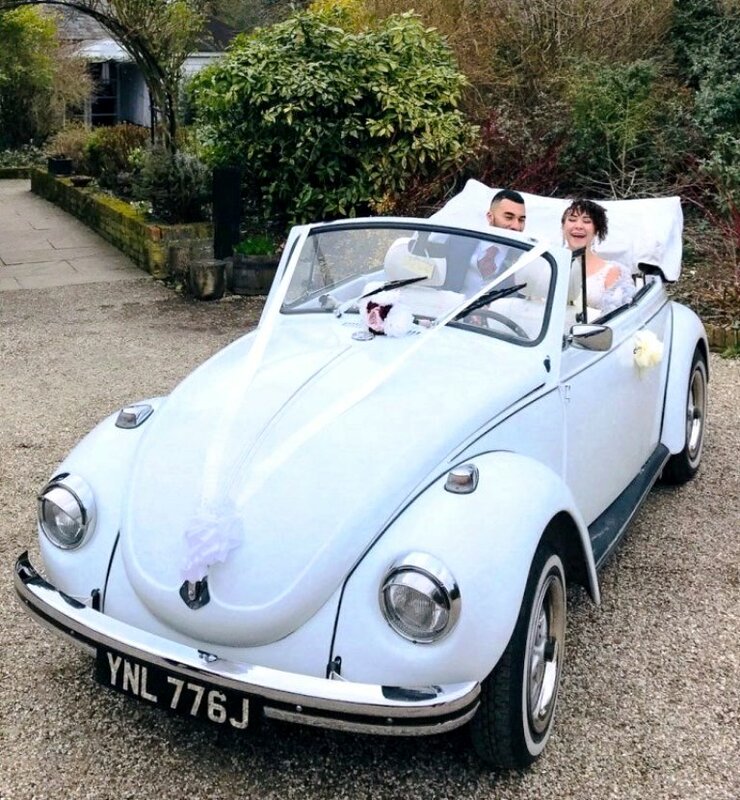 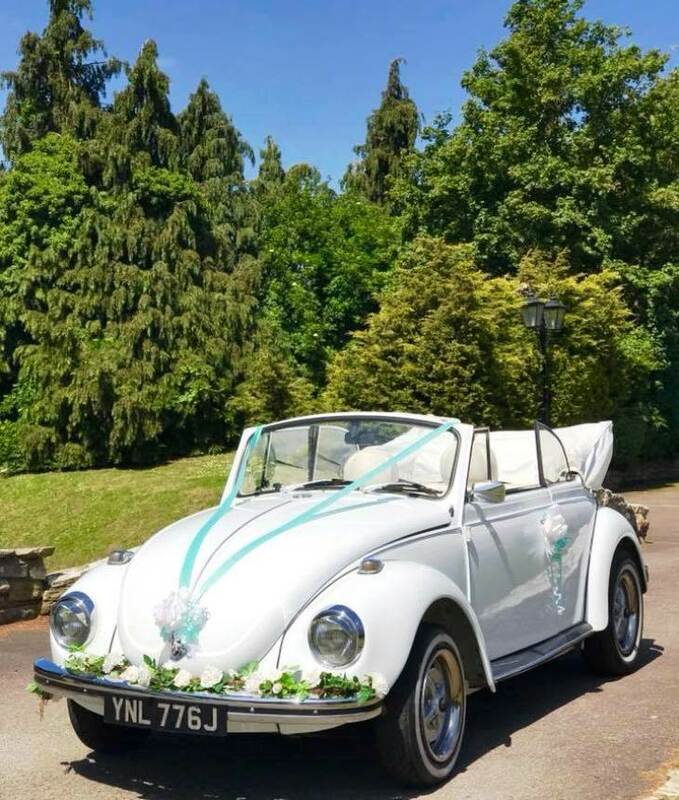 This classic VW Karrman Cabriolet Beetle from 1971 is a beautifully quaint car to have at your wedding and really looks the part when the convertible roof is down, great for photos. 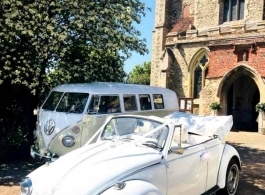 To complete the VW theme, there is also a 1962 Splitscreen Campervan that can be booked with the Beetle.